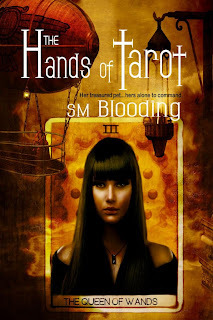 We are today's stop on The Hands of Tarot Blog Tour, hosted by Pump Up Your Book! Tours. Author Sm Blooding has written a guest post on how tarot met steampunk in her book. She is also giving away an autographed copy of her book and a set of tarot dolls. Enter below. Queen Nix awakened his Mark of power and inducted him into the House of Wands. She knew what she was doing. The son of the two most powerful Families standing against her is the ultimate prize. What she didn’t take into consideration was that maybe he was too strong for her. I love Tarot and I love Steampunk. Both are filled with such wonder, but for different reasons. In The Hands of Tarot, the collision of the two was accidental. I was writing Book 2 of the Demon Talker Novels, and allowing The Hands of Tarot to just run in the background. It didn’t have a title, a plot, characters, anything. 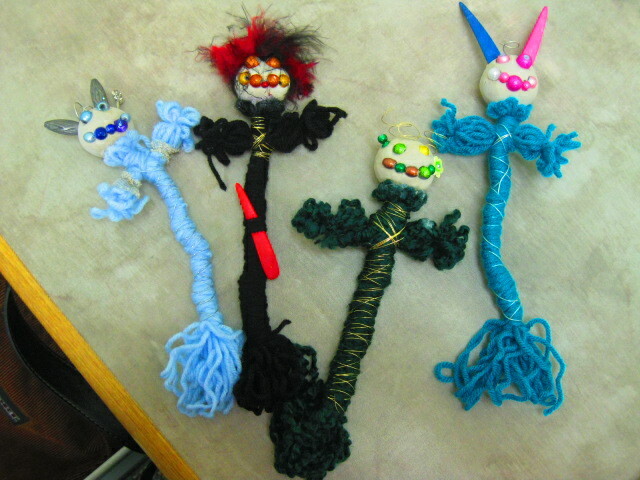 I was building the world; creating the history, cataloging animals, coming up with the library. I do this all the time. When I’m writing one book, the next one is running in the background percolating so that by the time I’m ready to write it, it’s ready to be written. I was doing a Tarot reading to find the direction I needed for the plot of Those Damn Angels. However, the reading I drew had nothing to do with the book I was writing. I completed the reading, and then sat back and scratched my head. I had no idea what was going on. The thing about Tarot is that you don’t always understand what the cards are telling you at the time. It’s very rare that that happens to me now, but it does still occasionally occur. You’re opening a door between your conscious mind and your faith. The other side doesn’t always care what your question is. Sometimes, the problem is that you’re not asking the right questions. I let it bounce around in my head for a few days. Then it hit me. The reading I’d pulled wasn’t for The Demon Talker Novels. It was for the book I was still building, which had no direction, no purpose. My brain EXPLODED. There were characters leaping from the cards. I saw the Knight of Wands, and all of a sudden, there was Synn. His history was there, his Voice—well, to be honest. His Voice wasn’t quite there yet. There were a few failed attempts to capture it. The supporting cast were all pulled from the deck; the Page of Swords, the Knight of Cups, the Page of Coins, The Devil, and the four queens. With those cards in hand, I literally just started doing readings. I hadn’t decided this book was going to be Steampunk in nature. It was just going to be pure fantasy, but through the readings, I decided that it really was Steampunk. A lot of my readings had to do with inventing and re-creating their society and their world. They’re really in a state of re-defining who they are. Comparatively speaking, they’re on the cusp of their Industrial Revolution. So I broadened my research and started looking at all of the inventors and scientists of that era. I realized that the thing I absolutely love about him and that era was the fact that they were so daring! They literally didn’t look at what they couldn’t do. They challenged the world, dared society to be as bold as they were. And those that couldn’t, those that didn’t, were beneath them. I really, really wanted to encapsulate that because I think, that is something we’ve lost. Our lives are so easy. We sit and read and watch, but we don’t do. We have no need to. So, that’s how Tarot met Steampunk. I decided that since the hierarchy of my “government” was derived from the deck, I’d go ahead and just call the government Tarot. I let my inner geek out, and I had an absolute blast with it. I had SO much fun writing it. It was great for me to write and I think you’re really going to enjoy it. This looks like such an interesting concept! I love steampunk. The juxtaposition of the traditional values with the mechanical advance has always fascinated me. And, I also read tarot! I like steampunk. It's just got a good feel when you read it. I haven't actually read a lot of steampunk. What I have read though has been rather interesting in the mixture of technology and history. Hey, Cherie! Nice to meet you! 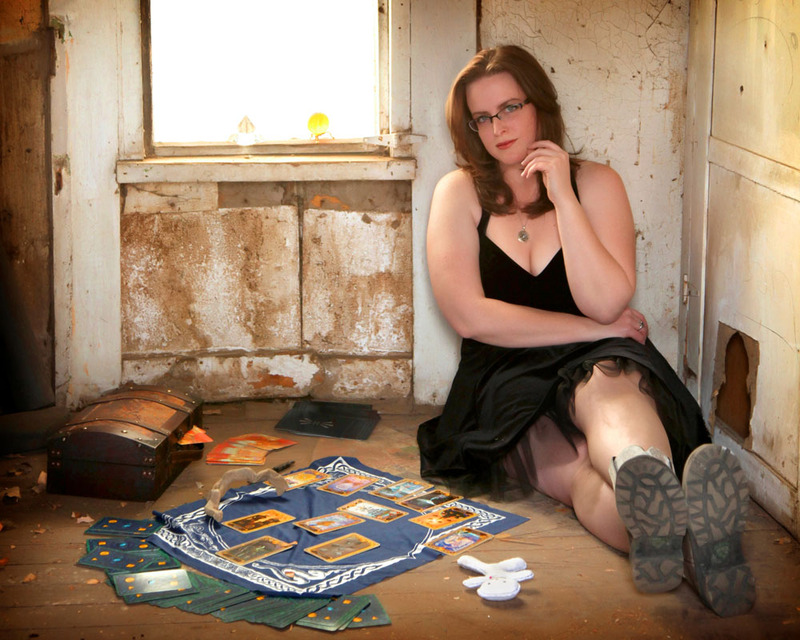 Steampunk is just a lot of fun and tarot? It's awesome! LOL! Jesse, it really is, isn't it? I think the best thing about Steampunk is that it recalls that "feel" that anything was possible. They were such daredevils! I love it! Laurie, I agree with you whole-heartedly! LOL! Thank you for stopping by! Lisa, there's all kinds of steampunk. Honestly, there isn't a steampunk book I've gotten my hands on yet that I didn't like. There was just something magical about the Victorian era, wasn't there, Angie? Thanks for stopping by!! I haven't actually read a lot of steampunk but would love to.